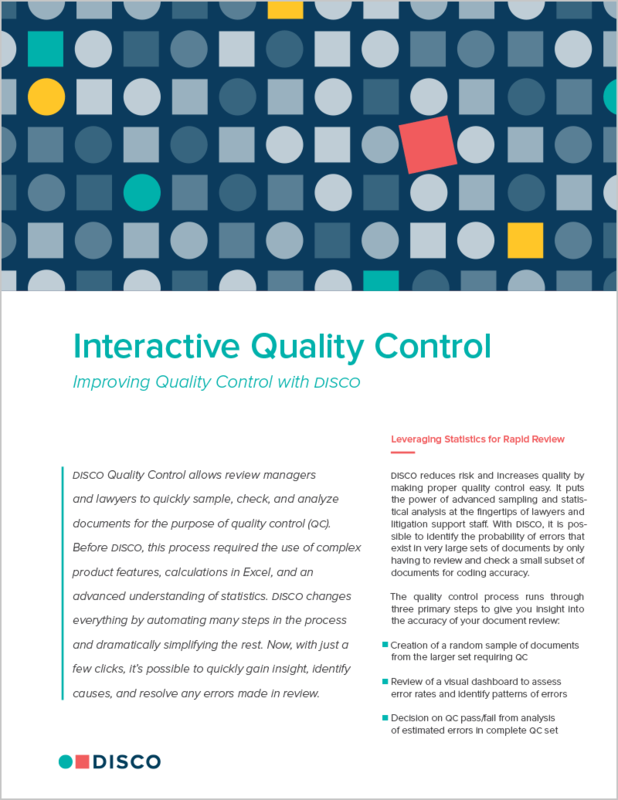 DISCO Quality Control allows review managers and lawyers to quickly sample, check, and analyze documents for the purpose of quality control (QC). Before DISCO, this process required the use of complex product features, calculations in Excel, and an advanced understanding of statistics. DISCO changes everything by automating many steps in the process and dramatically simplifying the rest. Now, with just a few clicks, it’s possible to quickly gain insight, identify causes, and resolve any errors made in review.